We welcome new patients at Bethany Family Dental, P.C.! We want to make your first visit to our office as convenient as possible. We’ve included our new patient forms here so that you can download them and fill them out at your convenience prior to your visit. Please complete both pages for each new patient. For your benefit we offer several payment and financing options at Bethany Family Dental, P.C.. As a courtesy to you, we are happy to bill your insurance for you. We accept all insurance plans and our experienced staff will gladly assist you in obtaining the maximum benefits your plan provides. Contact us at 503-617-7384 with any questions you may have about insurance or financial options. In addition to insurance benefits, we accept the following credit cards: Visa, MasterCard, American Express and Discover card. Long-term financing with low-interest rates is also available through Care Credit financing. 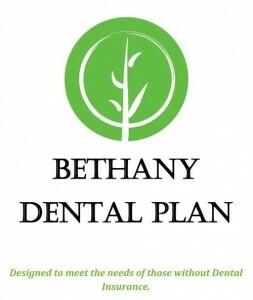 We offer an in office Bethany Dental Plan for those who do not have insurance. Please call us for more information.